Uh maybe you should have thought about leaving milk and cookies out if you wanted Santa to leave your gifts out. Pain Train Comic knows what's up. 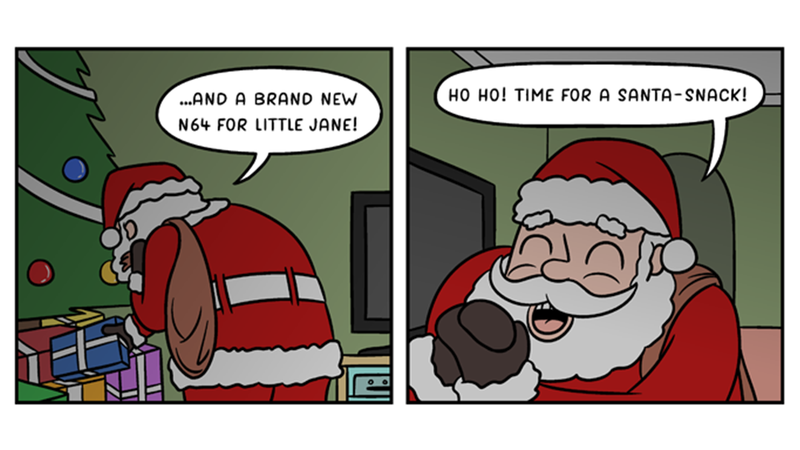 I bet you Pain Train Comic got their N64 this year. If you're just waking up from holiday laziness, feel free to peruse our stuff from this week over at Kotaku Selects, all rounded up by yours truly.